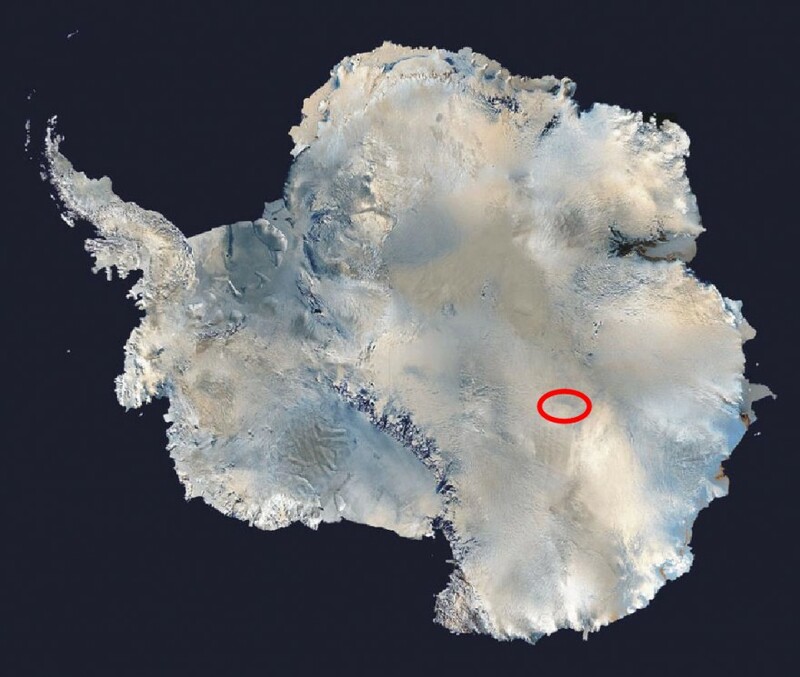 The lowest temperature ever measured on Earth was -128.6 Fahrenheit (-89.2 Celsius) at Vostok, Antarctica, on July 21, 1983, beating the station’s former record of -88.3°C (-126.9°F) on 24 August 1960. Vostok Station is a Russian (formerly Soviet) Antarctic research station. Research includes ice core drilling and magnetometry. Vostok (Russian for “east”) was named after Vostok, the lead ship of the First Russian Antarctic Expedition captained by Fabian von Bellingshausen (the second ship Mirny captained by Mikhail Lazarev became the namesake for Mirny Station). Vostok Research Station is located at 78°27′51.92″S 106°50′14.38″ECoordinates: 78°27′51.92″S 106°50′14.38″E, about 1,300 km from the Geographic South Pole, at the center of the East Antarctic Ice Sheet and within the Australian Antarctic Territory. As a signatory to the Antarctic Treaty System, Australia does not exercise sovereignty over the territory. Vostok is located near the Southern Pole of Inaccessibility and the South Geomagnetic Pole, making it one of the optimal places to observe changes in the Earth’s magnetosphere. Other studies include actinometry, geophysics, medicine and climatology. The station is at 3,488 meters (11,444 ft) above sea level and is one of the most isolated established research stations on the Antarctic continent. The station was supplied from Mirny Station on the Antarctic coast. The station typically contains 25 scientists and engineers in the summer. In winter, their number drops to 13. The only permanent research station located farther south is the Amundsen–Scott South Pole Station, operated by the United States at the geographic South Pole. The warmest recorded temperature at Vostok is −12.2 °C (10.0 °F), which occurred on 11 January 2002. The coldest month was August 1987 with a mean temperature of −75.4 °C (−103.7 °F) and the warmest month was December 1989 with mean of −28 °C (−18 °F).